As announced earlier this week, DataSTORRE has been launched. DataSTORRE is an online digital repository of multi-disciplinary research datasets produced at the University of Stirling. The first researcher at Stirling to deposit data is Peter Matthews, a lecturer in Sociology, Social Policy and Criminology. His deposit is a video of a poetry reading at Wester Hailes library, as part of the AHRC Connected Communities “Connected Communities Festival” in June 2014. His intention is to store all his YouTube videos from the Yarn site to DataSTORRE http://beta.pararchive.com/stories/188. 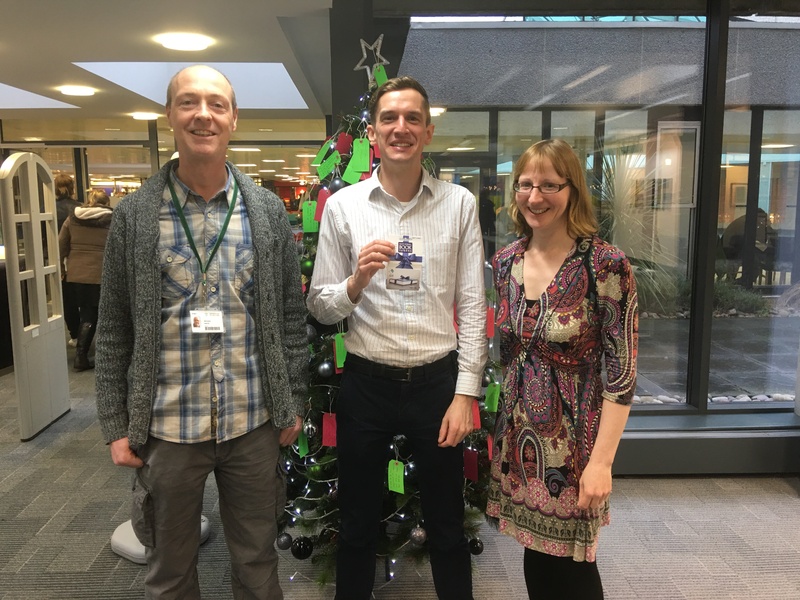 He is pictured here, being presented with his “reward” for being the first to deposit with Clare Allan and Michael White, the University of Stirling repository managers.